Gaa Gallery Provincetown is pleased to announce the two-person exhibition of works by artists Gina Osterloh and Brie Ruais. The exhibition opens on Friday, July 13, and will include recent sculptures by Ruais and a selection of Osterloh’s works in photography and film. Working in a range of media and varied aesthetic concerns, these two distinct artists merge in their shared considerations of the body as it relates to space, boundary, form and experience. Gina Osterloh lives and works in Columbus, Ohio. 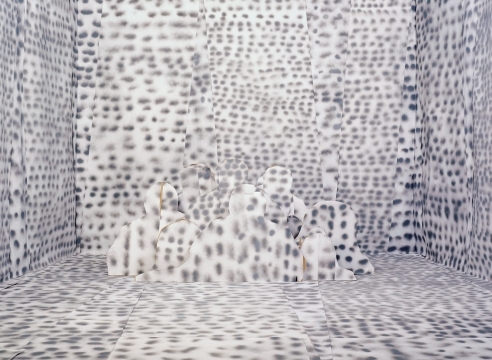 A former longtime resident of Los Angeles, Osterloh is a self-described feminist and formalist who investigates the various facets of perceived and experienced identity through her photographs, drawings, videos, and performance, all of which explore the concrete and ephemeral components of the body and its built environment. 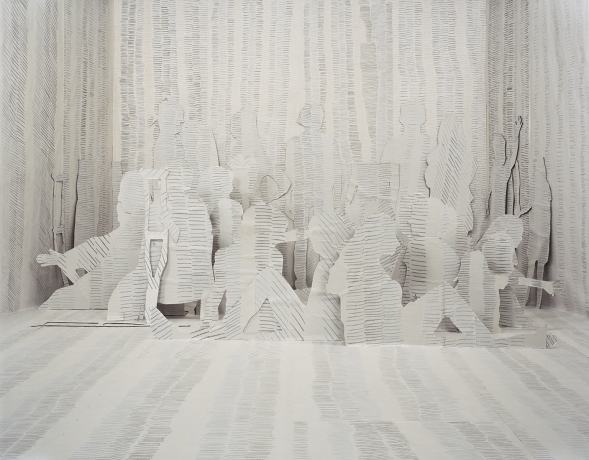 Brie Ruais is a Brooklyn-based artist whose sculptures in clay and paper pulp are proximal studies in causality. The transformation of the artist’s own body weight into form yields recorded experiences of an intensely physical process of motion and impact. Both Osterloh and Ruais have exhibited their work widely: Osterloh’s solo exhibitions include Zones, Silverlens Galleries, Manila Phillippines; Gina Osterloh, Higher Pictures, New York; Nothing To See Here There Never Was, Silverlens Galleries, Manila, Philippines; and Press Erase Outline Slice Strike Make an X Prick, Ghebaly Gallery, Los Angeles. Ruais’ solo exhibitions include the forthcoming 2019 Brie Ruais, Albertz Benda Gallery, New York; as well as Brie Ruais, Night Gallery, Los Angeles; and Attempting to Hold the Landscape, Cooper Cole Gallery, Toronto. Gaa Gallery Provincetown is pleased to present a two-person exhibition featuring the works of Gina Osterloh and Brie Ruais, through August 7. Please join us for the opening reception on July 13 from 6 - 9 pm.